From my previous articles, I have highlighted that the term ‘success’ is very general when applying it to a PPC campaign be it in Adwords or not. There is CPC success where the advertiser’s aim is to reduce their cost per click to a minimum. As well as this, ‘success’ could be defined as CTR success where a high CTR is most desired in a campaign. With part three of this series comes a new type of success in PPC being landing page success. To all those newbies out there, the landing page is the page which ‘clickers’ of your advert land on. 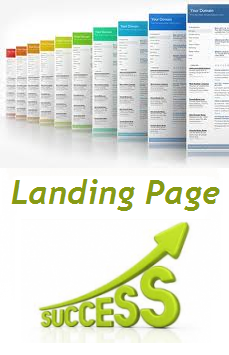 The question is how to measure the success of your landing page. There are many different stats you can take into account when measuring your landing page’s success in PPC. Microsite – A site embedded into another site. Homepage – Self explanatory: the homepage of a website. Click Through Pages – A page requiring an action from the web user. Lead Capture Page – A page to gain as much information about the individual as possible. It usually has one button being a submit button. Product Page – A simple page advertising a product or a service. Infomerical – It’s basically a TV advert in web page first where you usually scroll down to read on. Without realising, Google Analytics can easily be installed onto your landing page to help you analyse the results of your traffic. Isn’t Google Analytics only for bloggers though? Of course not! It can be used by anyone who wants to analyse the stats of a web page which includes PPC advertisers and their landing pages. From the above two articles, statistics such as bounce rate, average time on site and more are explained in the terms of how it will affect a PPC advertiser and their campaign. Just think about it for a minute. What other way can you research your traffic and your landing page’s success without disrupting your campaign? There is no other obvious way that works as well as Google Analytics. You have analysed your landing page and will now be in one of two boats. If you can conclude that your landing page is creating your campaign success, then pat yourself on the back and you have done a good job. If it hasn’t been a success, ask yourself why. Is it the type of landing page you are using? The landing pages of a campaign are affected by pretty much everything be it keywords chosen, CPC, CTR, targeting tools and more. Therefore, look for the most obvious cause for your landing page to fail. If you can’t find your flaw there, look in more discrete places.